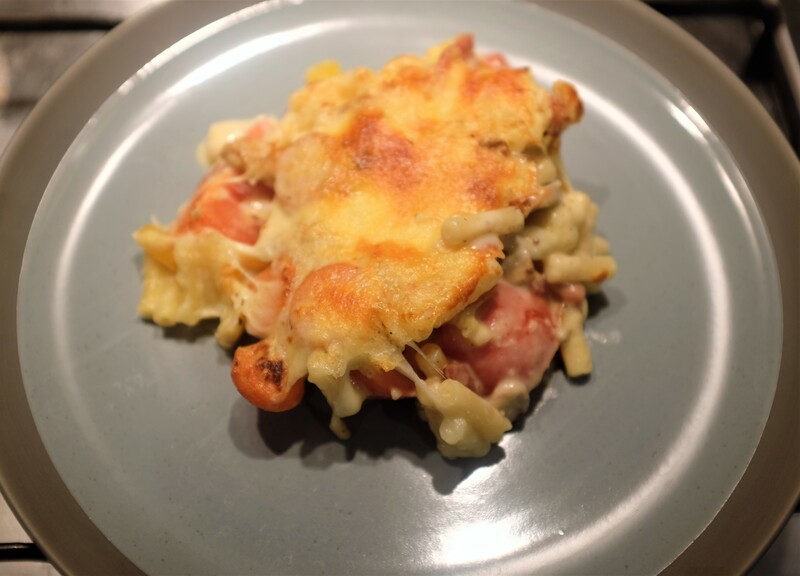 Mac n cheese is a real comfort meal in the Cooking Up A Treat household but for something so comforting it actually involves more effort than the traditional thoughts of ‘comfort food’. It is the food of exhaustion but of wanting to reward and nourish, I suppose, and that makes those extra few moments of putting the dish together completely worth it; you get leftovers the following day to make it quick and comforting so it sort of balances out and gives you a day to recover from all the woes that led you to mac n cheese in the first place. There is no real consistency in the mac n cheese that gets cooked here though; sometimes there is a lot of cheese, other times it includes meat and sometimes there is barely a vegetable contained within it. The basics are considered and anything else that gets added directly into it is a bonus but that entirely depends on when the food shopping was last done or our general mood. 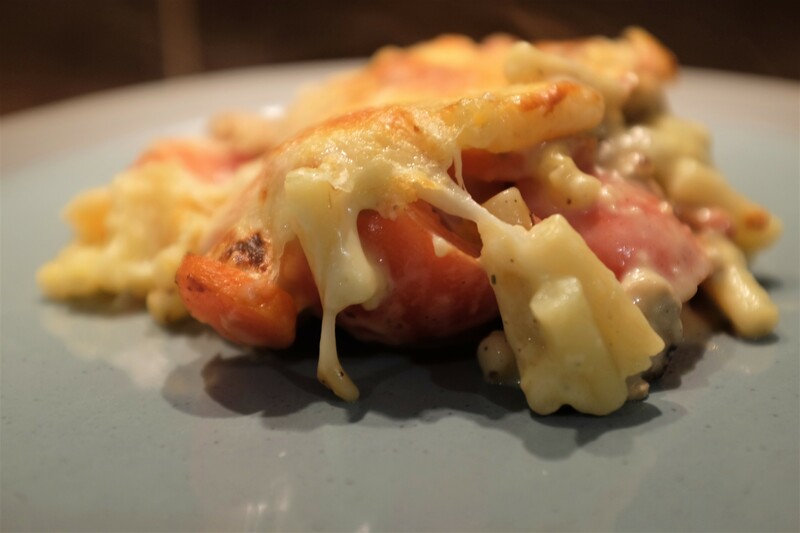 The versatility of a mac n cheese is certainly one of its greatest strengths. 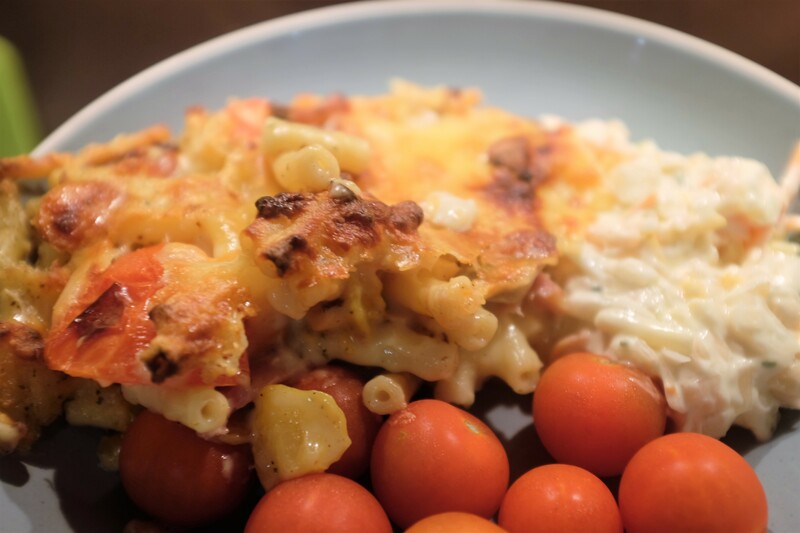 Having mac n cheese for leftover is great and super simple to do. It often gets consumed with salad, coleslaw or similar light items in the Cooking Up A Treat household. 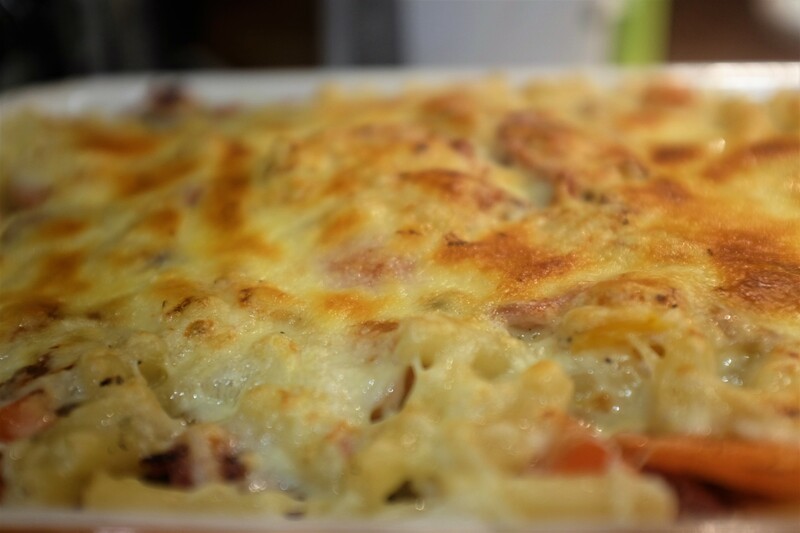 What are your favourite ingredients to put into a mac n cheese? I would love to hear all about your favourite combinations in the comments below. This entry was posted in Food and Drink, Recipes and tagged carbs, Cheese, comfort food, dinner, food, food blog, food blogger, food bloggers, happy food, home cook, home cooking, homemade, lblog, lblogger, lbloggers, leftovers, life, Lifestyle, lifestyle blog, lifestyle blogger, lifestyle bloggers, lunch, mac n cheese, main meal, meal, pasta, Recipe, salad, tasty, vegetables. Bookmark the permalink.